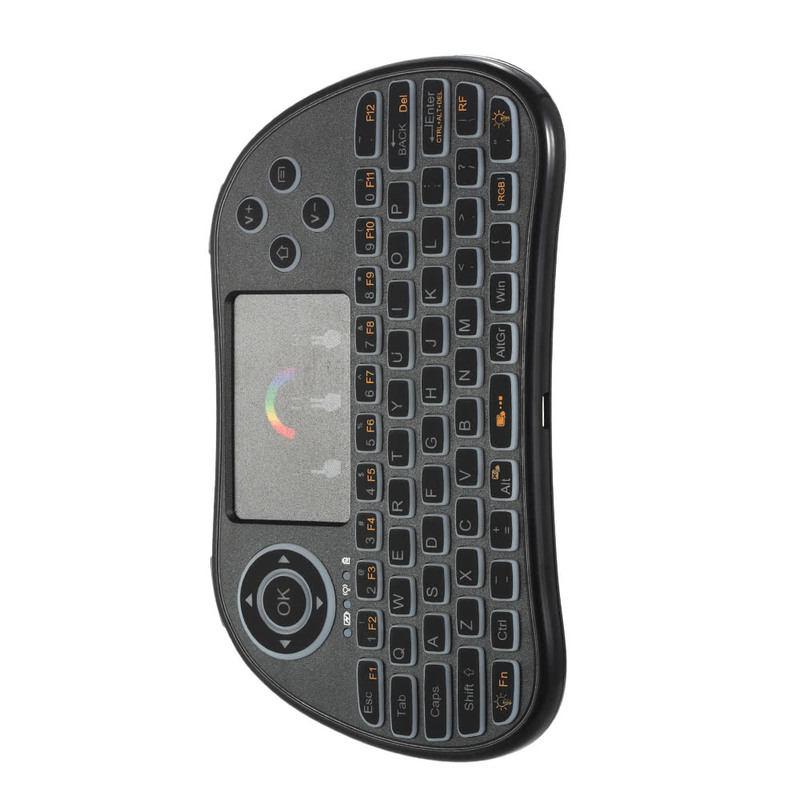 This 2.4GHz wireless keyboard mouse is a wonderful combo with the function of mouse, keyboard, gamepad. 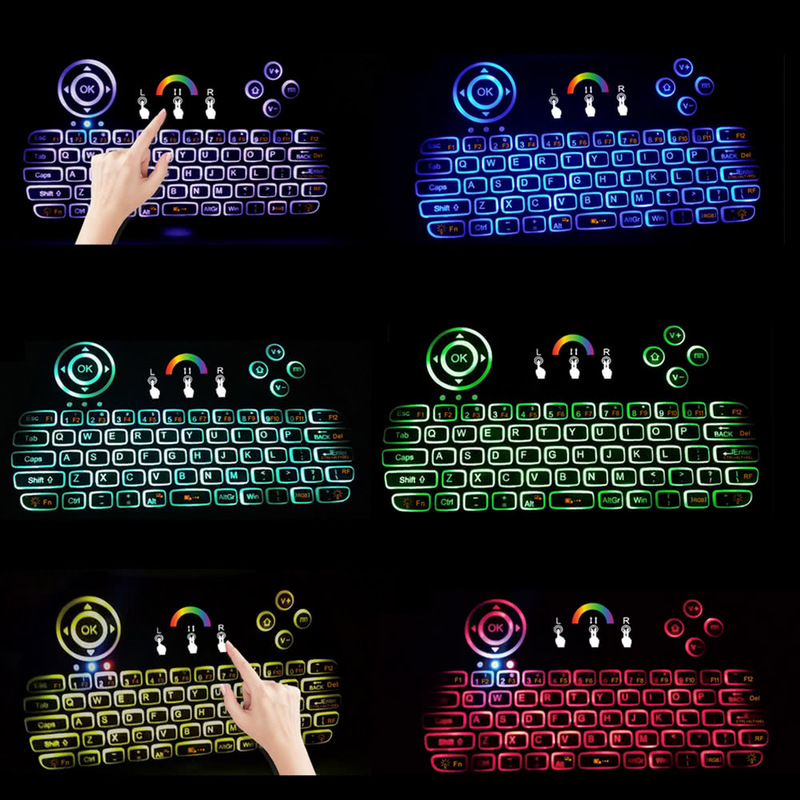 The latest LED Backlit Panel technology, multi colors of backlit for you to choose, you can use the keyboard in the dark. 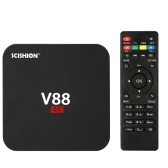 It is a unique and capable tool to operate PC, smart TV, Android TV Box and more. 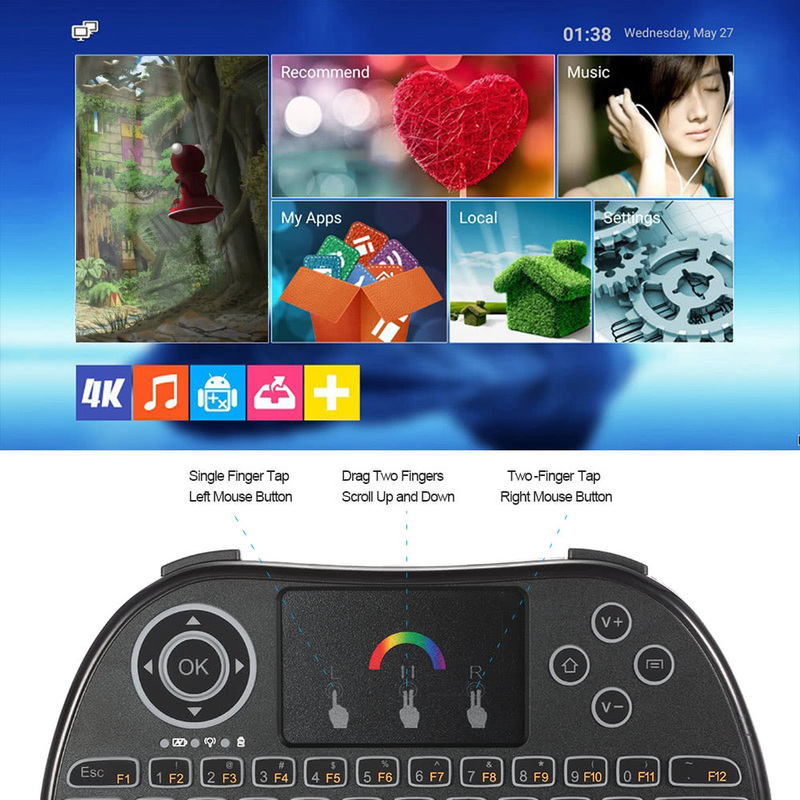 Plug and play, simple and smooth. 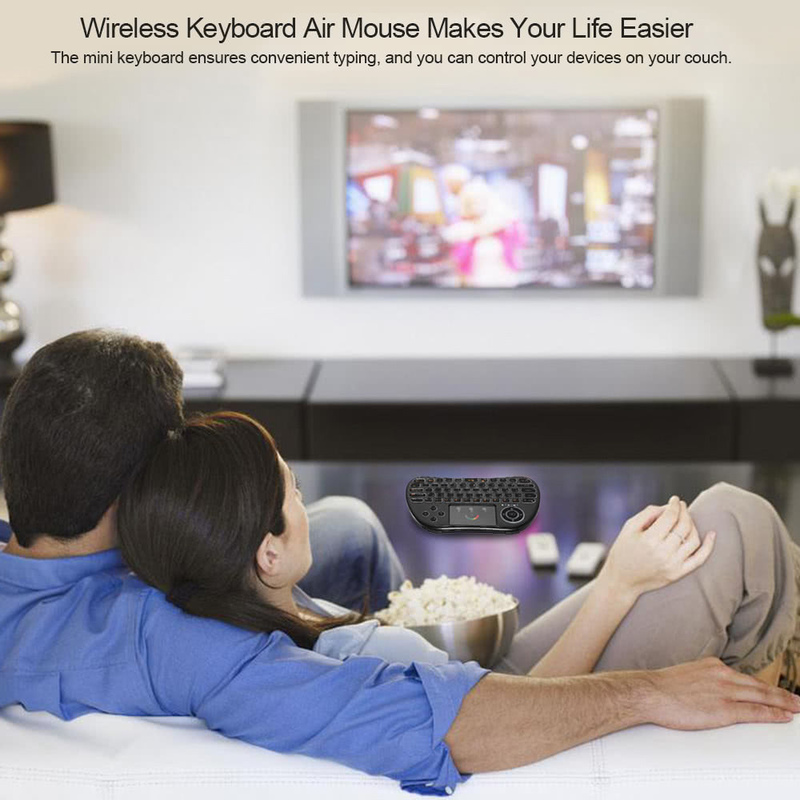 The mini keyboard ensures convenient typing, and you can control your devices on your couch. 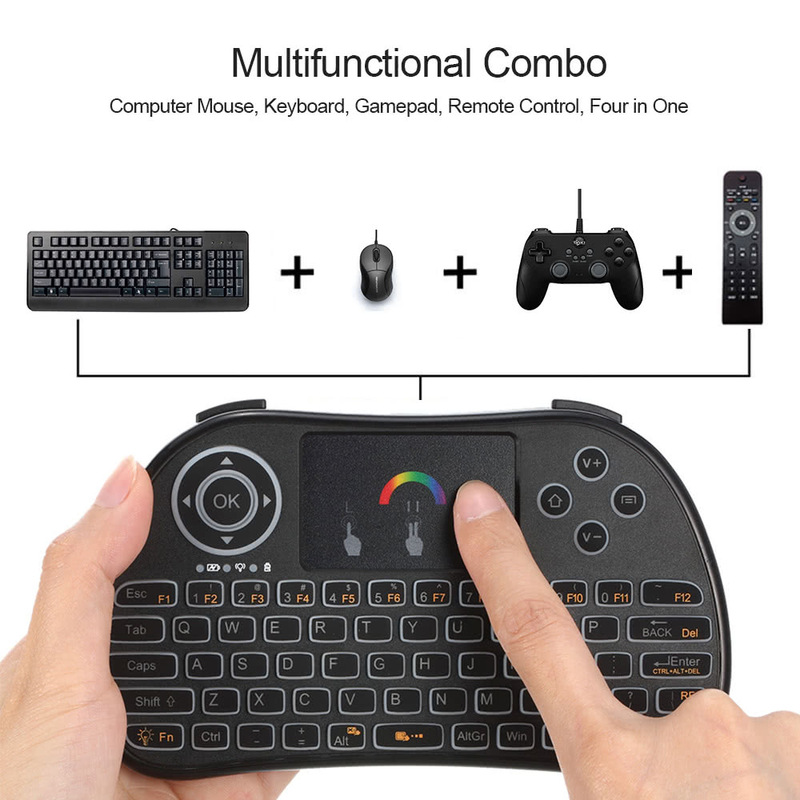 * 3-in-1 multifunction: wireless QWERTY keyboard, touchpad mouse and RGB Colorful backlit. 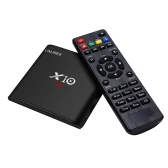 Compatible with PC, Smart TV, Android TV BOX, etc. 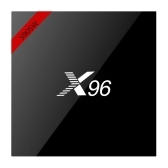 * With included USB interface adapter, no driver needed, plug and play. 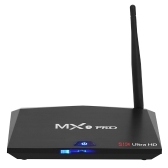 2.4GHz wireless connection, enjoy up to 10 meters wireless control. 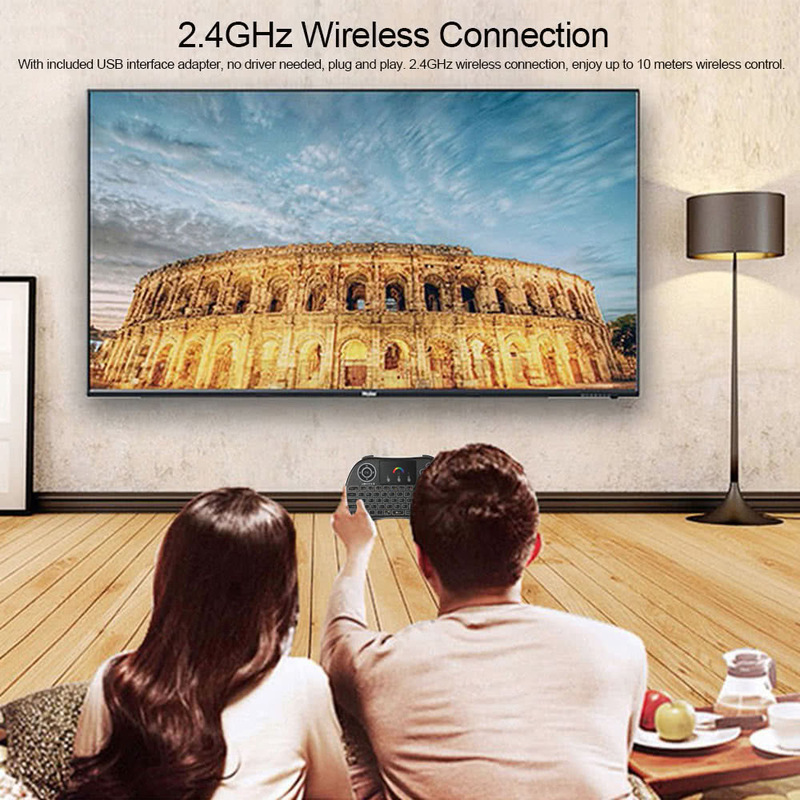 * Supports RGB Colorful Backlight function. 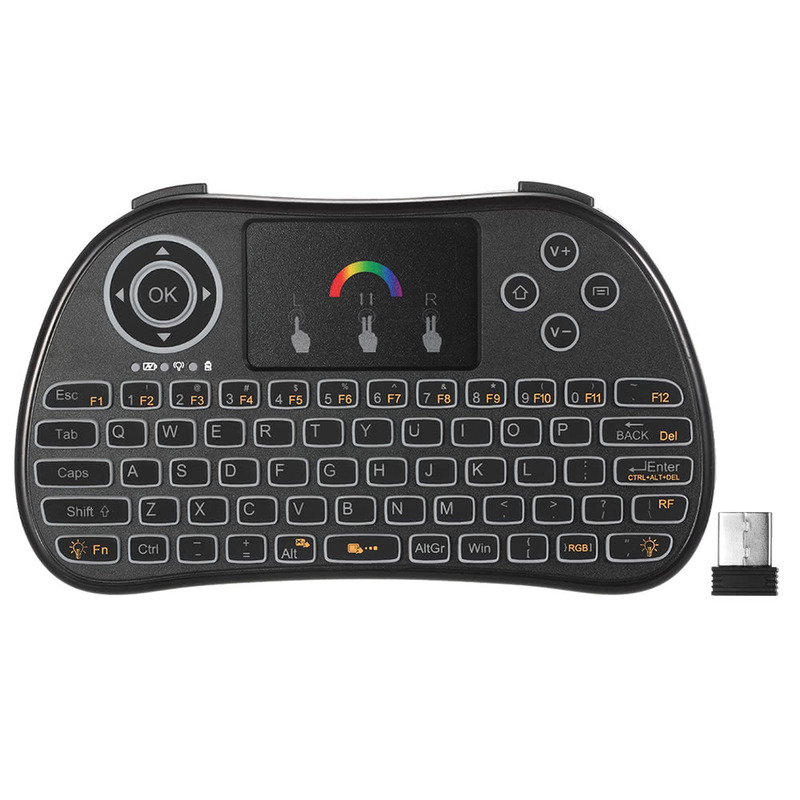 Press the FN and the right corner button to turn on the backlit, and then press the button FN and RGB button to set the backlit color through touchpad. 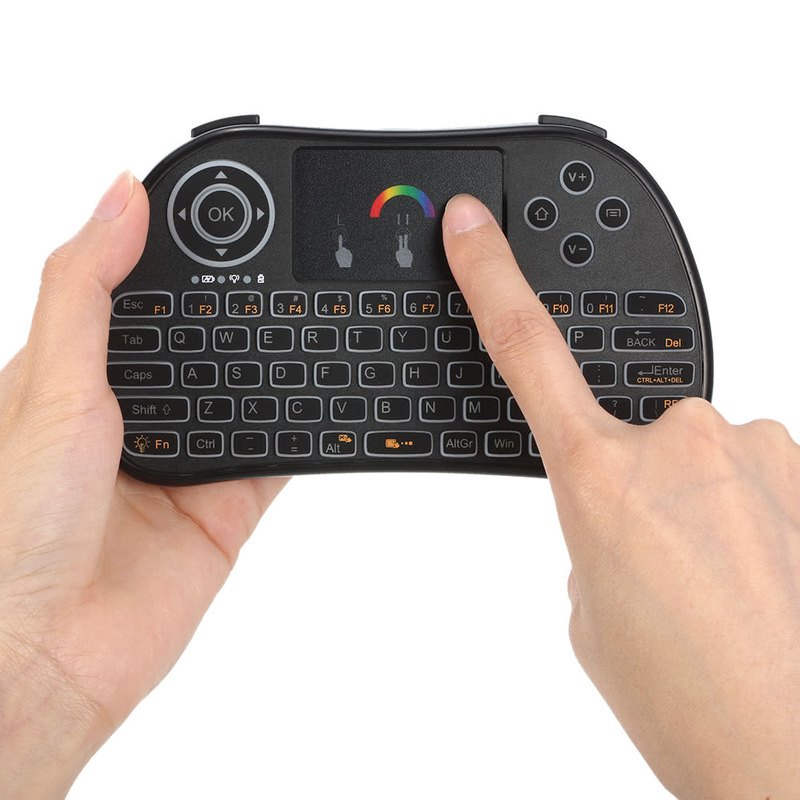 * High sensitive touchpad, easy to operate. 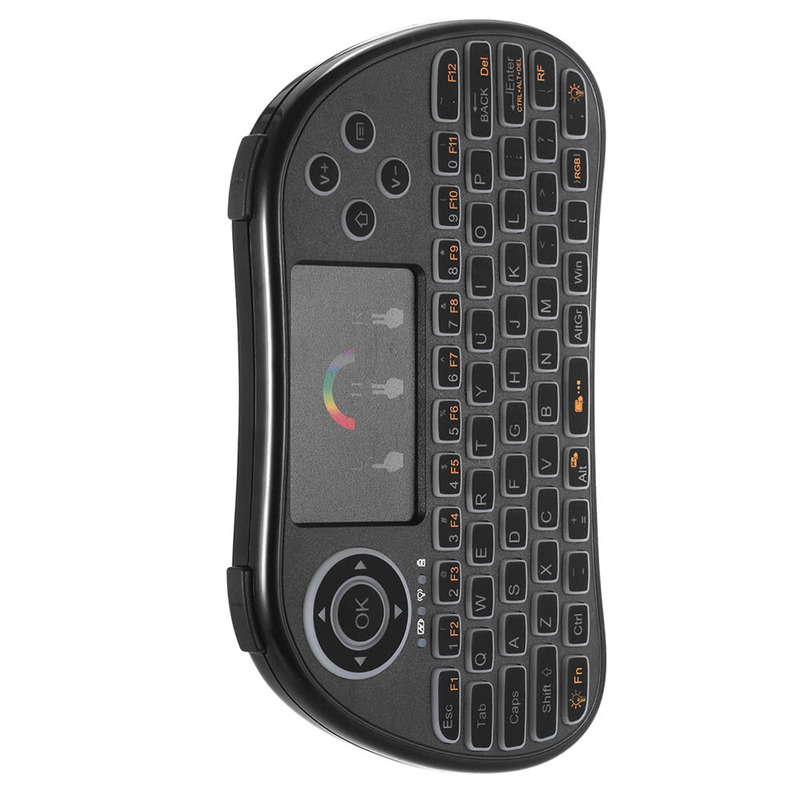 A single finger click as left mouse function, two-finger click as the right mouse function, double fingers drag as the rolling screen. 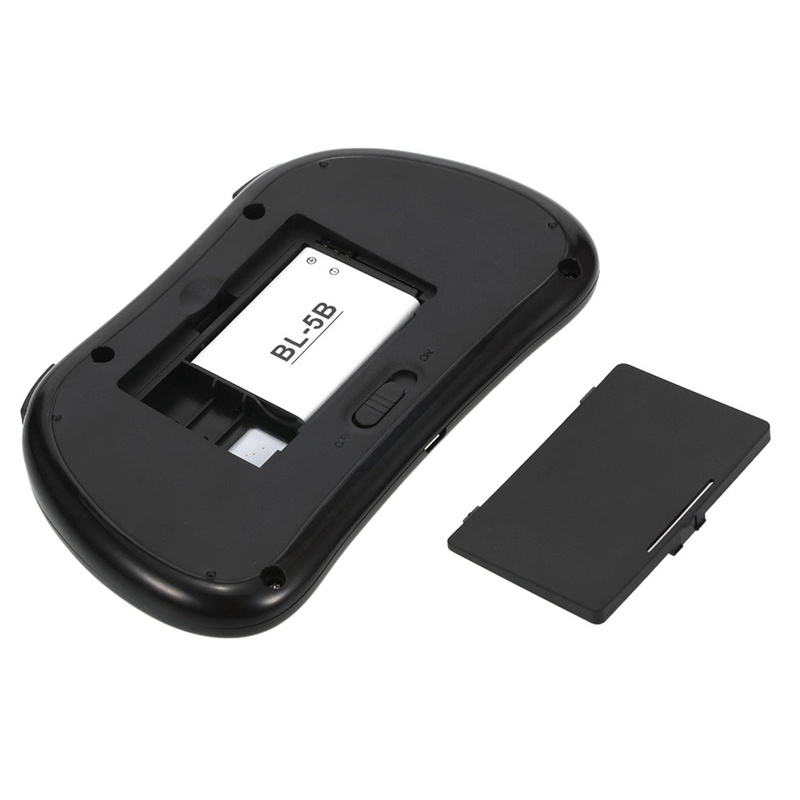 * Build-in 300mAh removable rechargeable Li-ion battery ensures long duration time. 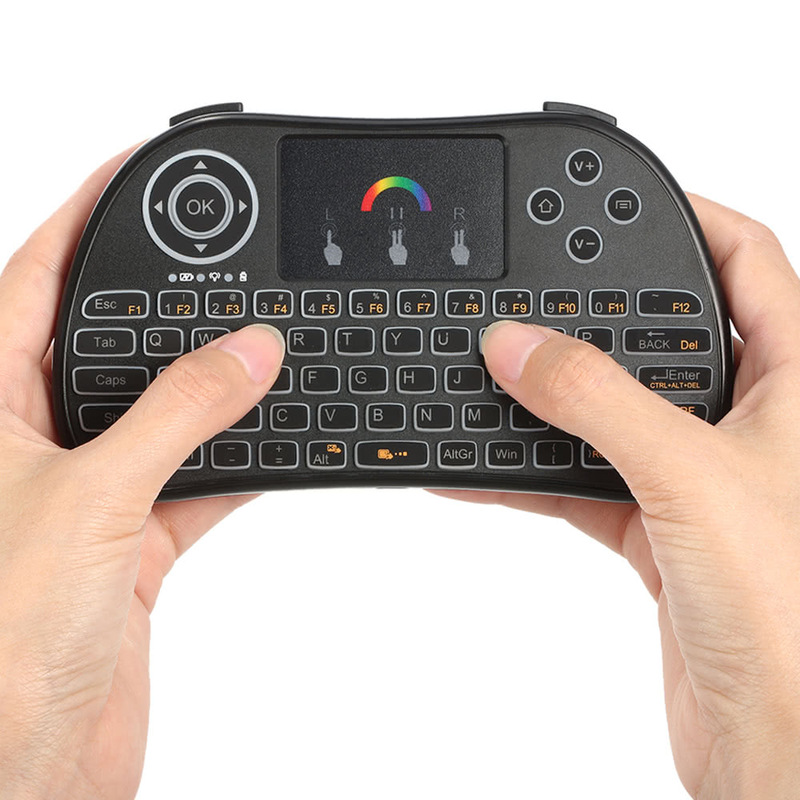 The Ergonomically handheld design is easy to carry and operate. 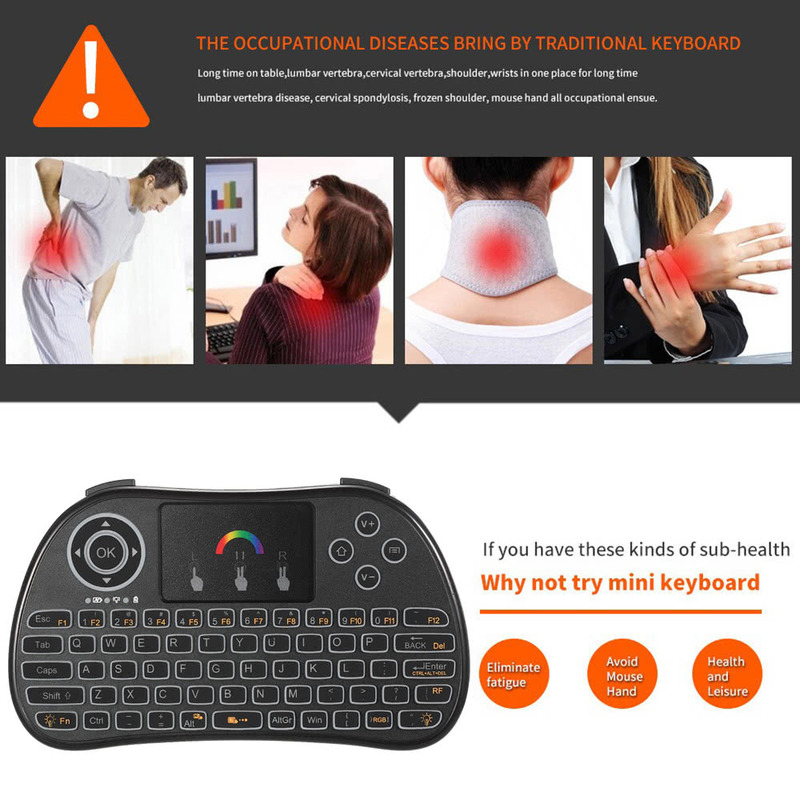 Note: After 3 minutes without any operating, the keyboard will go into sleep mode, press any key for about 1s to wake up keyboard. 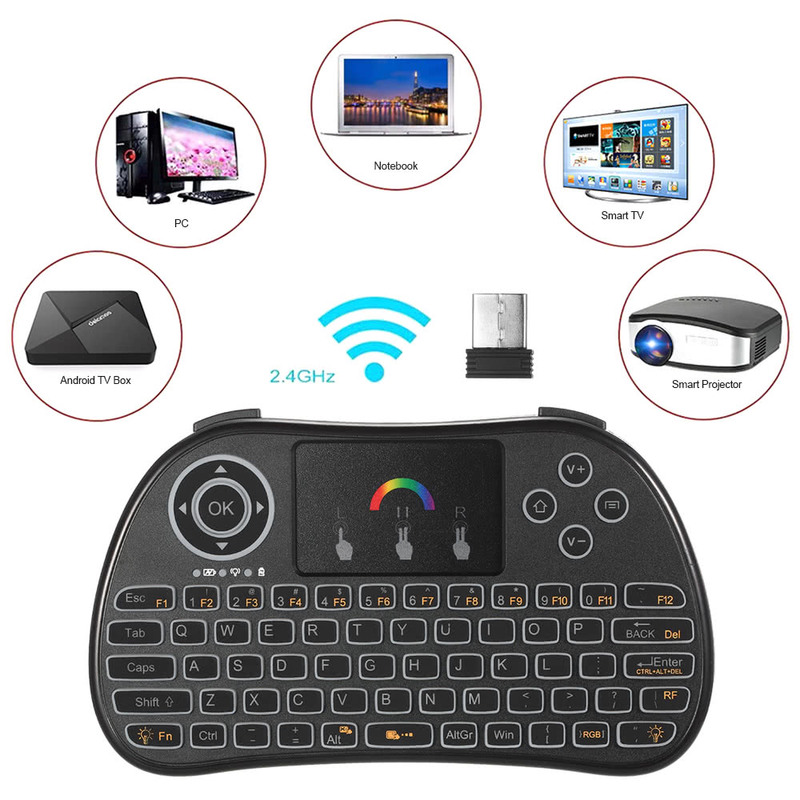 This mini keyboard works very well with my Android t.v. box. 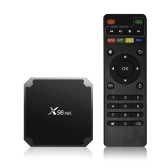 Far more useful than the remote control supplied with the box.Easy set up, plug and play. The backlighting is a useful feature too along with the internal rechargeable battery which is readily available if it packs up.